The above price is for one person, based on twin share. If you travel alone, it is quite expensive to hire a private tour guide and driver, recommend you to take our join-in-group tour. 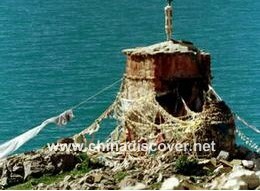 -- Yangtze River Cruise and Three Gorges Dam tour from Chongqing to Yichang. -- City transfer by train for soft seat class: Shanghai to Suzhou, Suzhou to Shanghai. -- Accommodation in Beijing, Xian, Lhasa, Shanghai, Guilin, Yangshuo. Deluxe hotels are 4 star, superior hotels are 3 star. with service of English Speaking tour guide. -- Private land transfers by air-conditioned company coach. -- All entrance fees of attractions mentioned in the itinerary. -- Other optional tours and activities in Beijing, Xian, Lhasa, Chongqing, Shanghai, Guilin. -- Flight arriving Beijing, departing Guilin. -- Expenditure of a personal nature, such as drinks, souvenirs, telephone bill, laundry etc. -- Other tours & meals not mentioned in the itineraries. -- Gratuities to service staffs. Please read our "Tipping Policy". Days Inn Forbidden City is one of the major 3 star hotels in Beijing. It offers pleasant accommodation at moderate cost. Its amazing location just a few minutes walk from the Forbidden City. Ping An Hotel is the only one "Deluxe Hotel" on the mountain, well, how to define "Deluxe" is not a big deal, you don''t need air-conditioning on the high mountain, the room is tidy, the blanket is clean, hot water available for 24 hours. Address: 31 Wenming Road, Guilin, 541002，P.R.C. Hotel Grand 0773 is a downtown 3-star hotel featuring European-American Postmodernist style. The lobby is medium size, with a lobby bar serving simple western breakfast, rooms are elegantly decorated, lots of good restaurants, bakeries, 24-hours convenient stores nearby. Opened in 2000,Tibet XiongBala Hotel is located at No.28 Jiangsu Road,which backs the famous Jhokang Monastery. It''s a three star international tourist hotel,which can offer the first class accommodation,food and beverage,entertainment and business. The Xian City Hotel is located right in the heart of Xian, only a stones throw away from the famous Bell Tower. The City Hotel is a modern tourist hotel providing 3-star service for both domestic and international guests.